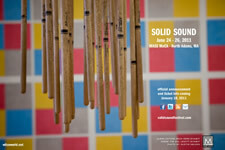 This year's Solid Sound is June 24-26. There still isn't a lot of info about the lineup -- though the website mentions two "headline" concerts by Wilco and a "comedy cabaret" hosted by John Hodgman. Last year's festival drew 5000 people -- and the reports were all pretty positive.